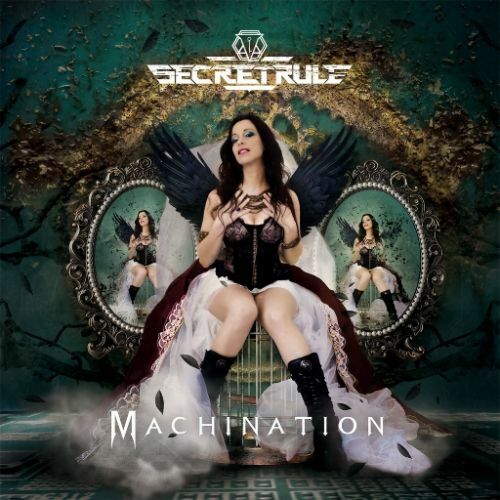 “Machination” is the second album from Italian band Secret Rule and it was released by Scarlet Records on 24th June. The band formed in 2014 and released their debut album “Transposed Emotions” through Rocksector Records in February 2015. I posted a recommendation for that album last year and played tracks from it on quite a few occasions. It was good therefore to get an e-mail about the new album. I played the track “The Image” on the Friday NI Rocks Show on 19th June. For me it is the vocals of Angela Di Vincenzo and guitar playing of Andy Menario that are the big strengths in Secret Rule. There has been a line-up change since the previous album with Sander Zoer (previously in Delain) coming in to play drums. He joins Michele Raspanti on bass and Henrik Klingenberg (Sonata Artica) on keyboards. There are also guest appearances on the album from Stefan Helleblad (Within Temptation), Timo Somers (Delain) and Fabio D’Amore (Sensitivity). In addition to “The Image”, my favourite tracks from the 11 on the the new album would be “The Saviour” which was the first single released, “Dolls” and “You’re The Player”.